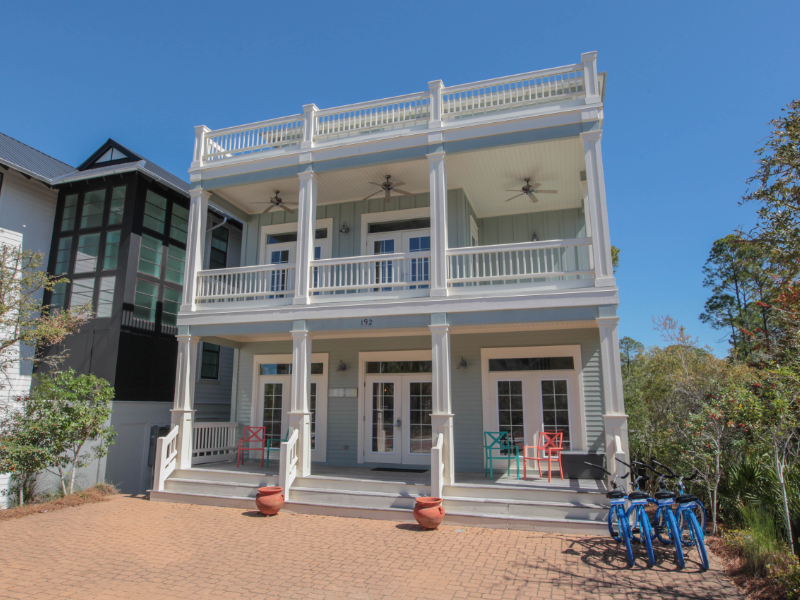 The Summer House is ideal for any season and is conveniently located in family-oriented Seacrest Beach, between Rosemary Beach and Alys Beach. There is plenty of dining, shopping and entertainment within walking or biking distance and Seaside is a short drive to the west on Scenic Highway 30A. The Seacrest community features a 12,000 square foot lagoon pool and amphitheater. If you prefer the beach, hop on the complimentary tram (runs seasonally) for a quick ride to the sugar white sand and emerald water. When you enter the front door of the Summer House, you walk into a lovely open concept living and dining area, complete with dark hardwood floors. The kitchen offers granite countertops and stainless steel appliances. The first floor has a queen bedroom with a full bath across the hall. The second floor offers a queen master suite with a flat screen tv, and an adjacent outside deck. There is also a queen bedroom, and a full bedroom on the second floor that share a Jack and Jill bath. On the third floor you will find a full bedroom with full bath. There is also a seating area on the third floor compete with a flat screen tv and wet bar. From the third floor balcony, you can enjoy spectacular views of Seacrest.